One of the most powerful practitioners of these mysterious arts is Rav Hisda’s daughter, whose innate awareness allows her to possess the skills men lack. With her husband, Rava–whose arcane knowledge of the secret Torah enables him to create a “man” out of earth and to resurrect another rabbi from death–the two brave an evil sorceress, Ashmedai the Demon King, and even the Angel of Death in their quest to safeguard their people, even while putting their romance at risk. The author of the acclaimed Rashi’s Daughters series and the award-winning Rav Hisda’s Daughter: Apprentice has conjured literary magic in the land where “abracadabra” originated. 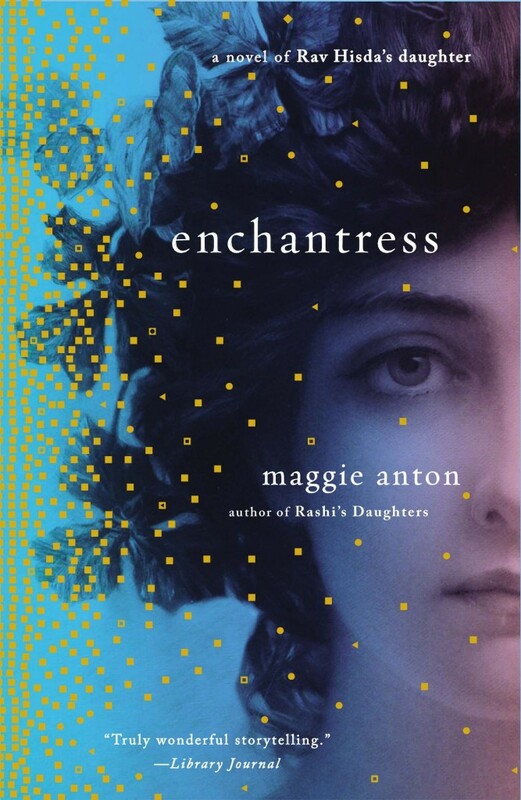 Based on five years of research and populated with characters from the Talmud, Enchantress brings a pivotal era of Jewish and Christian history to life from the perspective of a courageous and passionate woman. Maggie Anton was born Margaret Antonofsky in Los Angeles, California. Raised in a secular, socialist household, she reached adulthood with little knowledge of her Jewish religion. All that changed when David Parkhurst, who was to become her husband, entered her life, and they both discovered Judaism as adults. That was the start of a lifetime of Jewish education, synagogue involvement, and ritual observance. In 2006, Anton retired from being a clinical chemist in Kaiser Permanente’s Biochemical Genetics Laboratory to become a fulltime writer. In the early 1990’s, Anton learned about a women’s Talmud class taught by Rachel Adler, now a professor at Hebrew Union College in Los Angeles. She became intrigued with the idea that Rashi, one of the greatest Jewish scholars ever, had no sons, only three daughters. Slowly but surely, she began to research the family and the time in which they lived. Much was written about Rashi, but almost nothing of the daughters, except their names and the names of their husbands. Legend has it that Rashi’s daughters were learned in a time when women were traditionally forbidden to study the sacred texts. These forgotten women seemed ripe for rediscovery, and the idea of a trilogy of historical novels about them was born. After the success of “Rashi’s Daughters” Anton started researching the lives of women in 4th-century Babylonia, where the Talmud was being created. 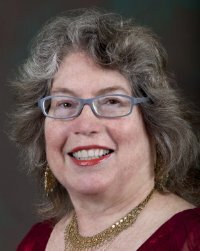 Surprised by the prevalence of sorcery among rabbinic families, she wrote “Rav Hisda’s Daughter: Bk 1 – Apprentice,” which was a 2012 National Jewish Book Award Fiction finalist and a Library Journal pick for Best Historical Fiction. For more information please visit Maggie Anton’s website and blog. You can also connect with her on Facebook, Twitter, and Goodreads. This entry was posted in Giveaway, Historical novels and tagged historical fantasy, Judaism, Maggie Anton, Talmud, Torah by WordsAndPeace. Bookmark the permalink.